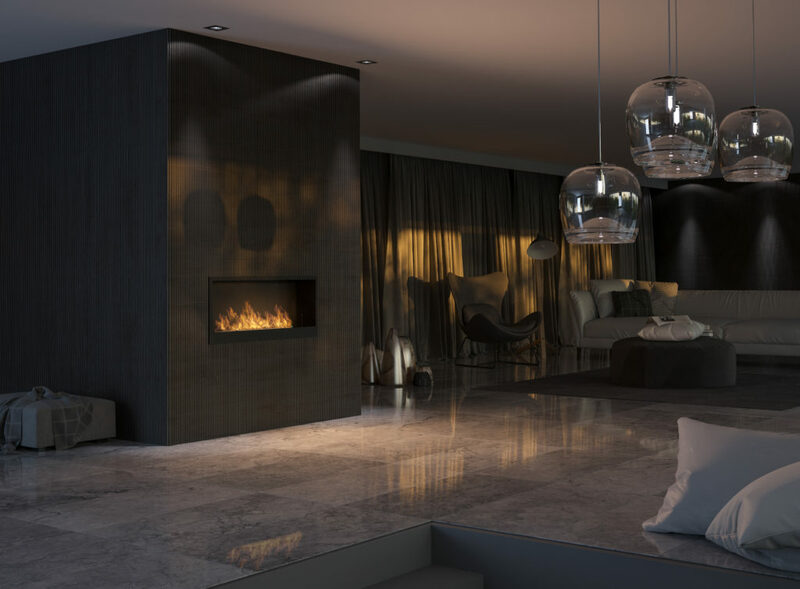 INSIDE 1200 model is a fireplace intended for assembling in the recess prepared in the wall. Inside 1200 is a perfectly prepared form with effective heat emission to the interior. 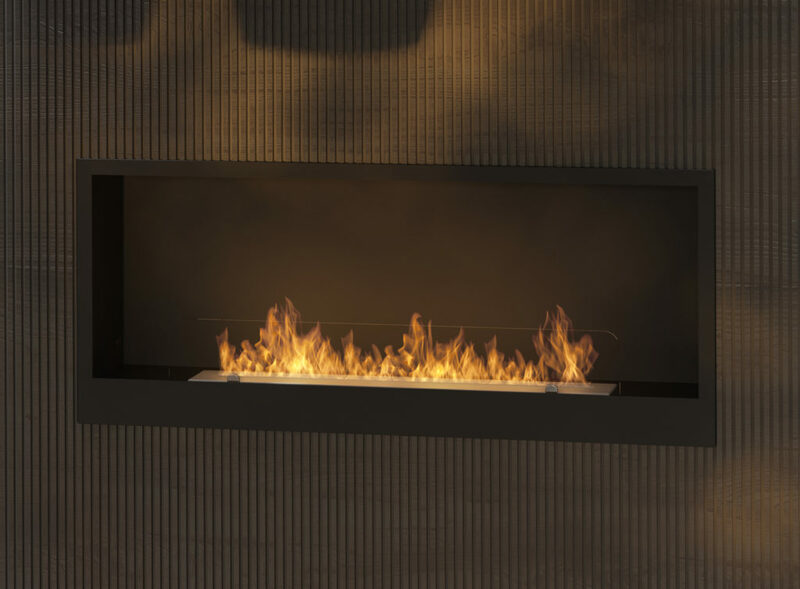 The fireplace is equipped with its own bleeding system, which prevents pressure formation under the burner in the event of possible fuel overflow. 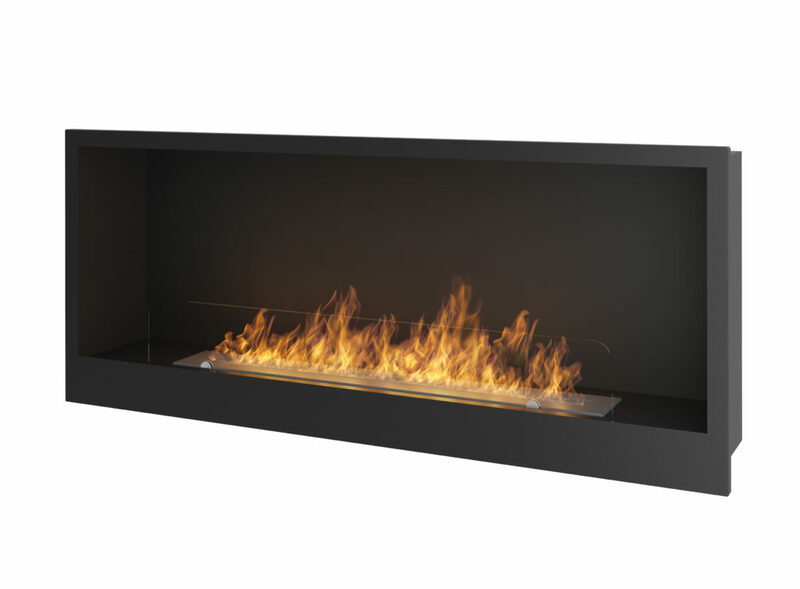 The 80cm long burner with one line of fire and ceramic fibres ensures safety of use at the same time presenting a beautiful and visually effective fire. 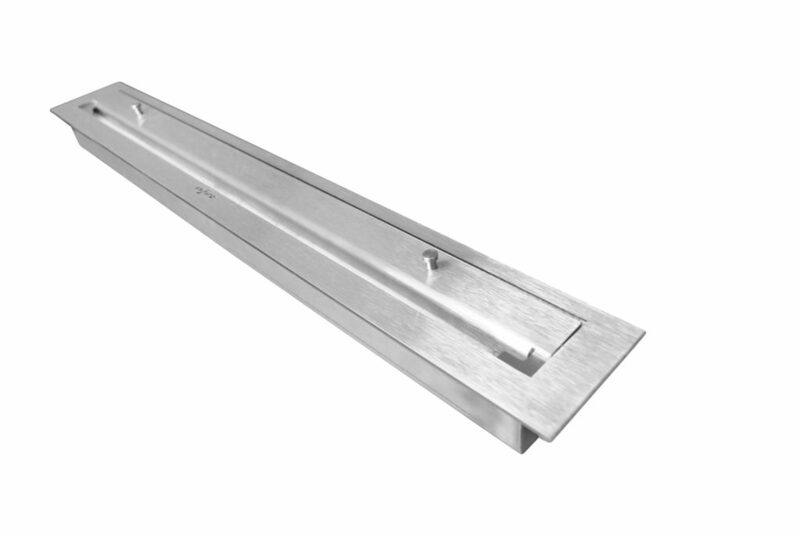 Moreover, the fireplace is equipped with a toughened pane which increases the safety of use and stabilizes fire.